Captain America Budged Thor’s Hammer—Will He Lift It In ‘Age of Ultron’? Leave it to Captain America to wipe the smug grin off of Thor’s face. If you haven’t already seen the “party scene” from the upcoming Avengers: Age of Ultron, it features “Earth’s Mightiest Heroes” in a rather relaxed setting. The group appears to be drinking and socializing when Thor challenges his fellow Avengers to lift Mjolnir. Tony Stark fails, as does his friend James “Rhodey” Rhodes. Black Widow declined to lift the hammer, but in the comics she not only successfully proved worthy of doing so, but she lifted it during an Ultron storyline. Even The Hulk couldn’t make the hammer move when the less-than-jolly green giant tried his hand during the first Avengers movie. Though Thor declares that none (other than himself) are worthy, this may not be a fair assessment. Steve Rogers, also known as Captain America, made Mjolnir budge. Though he soon after gave up on lifting the item, it seems Captain America may possess the potential to becomes worthy of lifting Thor’s weapon in the near future. It will be interesting to see if the movies allow Captain America the ability to pick up this mystical item successfully. The first time was when Rogers dropped “America” from his name and went by “The Captain.” The second time was during the “Fear Itself” storyline. 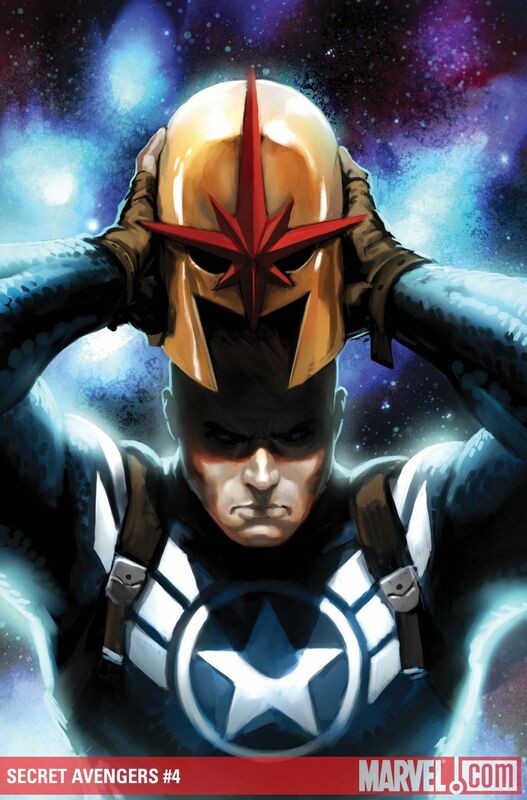 In addition to being able to lift Thor’s hammer, Captain America was also able to wear Nova’s helmet — an act that would have driven anyone else completely insane. Clearly the movieverse Captain America is a unique hero, but perhaps there is some inner conflict that’s holding him back from representing all the qualities necessary to be worthy of Mjolnir? Captain America: The Winter Soldier featured the First Avenger taking on his former friend and playing a major role in the dissolution of S.H.I.E.L.D. The movie revealed a man willing to sacrifice himself for his friends and what is right. That certainly would move Rogers in the direction of worthiness. Some theorize that we could see Thor fail to be worthy of Mjolnir. At the same time, there is speculation that Captain America will do more than budge the weapon later on in the movie. Some even believe that this scene foreshadows Captain America being forced to lift the hammer during one of the Avengers: Infinity War movies. Do you think Captain America will ever lift Thor’s hammer on-screen?